Riding on the advantage of the colossal gas pipe network and synergising it with the advanced Glass-In-Gas (GIG) and Glass-Along-Gas (GAG) European technology, TGT actively develops advanced optical fiber networks to take the lead in the market. In Mainland, TGT has set up joint venture companies in different provinces, mainly engaged in telecommunication pipe network and related engineering, consulting and research as well as business development. With the construction franchise and existing telecommunications pipe, TGT provides quality network services in Guangdong Province, Shandong Province, Liaoning Province and etc. 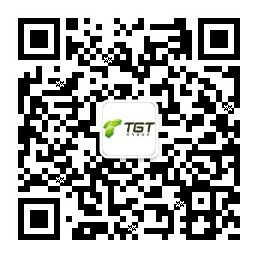 TGT, as an industry pioneer, has been devoted to drive industry development by advocating innovative applications for telecommunications industry and gas industry. Previously, TGT’s “Technical Standards for Laying Fibre Casing Pipe in Gas Pipeline” successfully obtained the approval from China Gas Association. In order to further promote the implementation of this technology in Mainland, TGT joins hand with a strategic partner, officially lunching “the Pilot Project of Laying Fibre Casing Pipe in Gas Pipeline”. The Cooperation aims to establish the first technology implementation, teaching and demonstration base in Mainland, it also lays the foundation of technical and applied research on gas pipeline safety monitoring in the future. At the same time, it echoes with the “Internet +” era to achieve advancement and innovation. In Hong Kong, TGT provides reputable corporations, international network service providers, and professional clients with services like up to 100Gbps point-to-point fibre links, IP Transit, Internet Connectivity, Managed Fibre Services, Block Wiring services and etc. Dedicated point-to-point network solution with end-to-end management ensuring the highest levels of security and reliability. Minimum latency, maximum bandwidth, reliable and cost effective connectivity, our strong IP Backbone network connected to the major telecommunication providers around the world which guarantees the best connectivity. High speed and dedicated cross-border broadband Internet access service, access over advanced network. Telecom Solution for properties, including customized premium fibre solutions. We provide customized services based on your specific technical requirements.